National Library has a fairly good collection of ola-leaf manuscripts and its developing continuously. 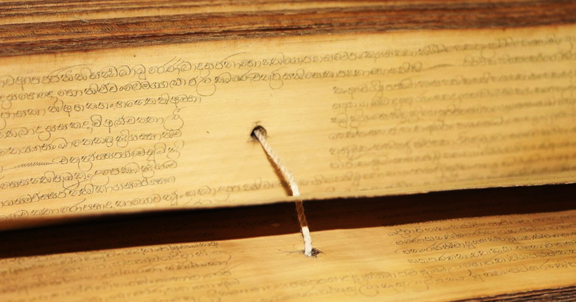 This valuable and rare indigenous library material collection consists of ola-leaf manuscripts in Sinhala, Pali and Sanskrit languages on Buddhism, Buddhist Sutras, Ayurvedic medicine, Sinhala language and Literature, History, Astrology, Jathaka Stories, Charm Occultism etc. Literary works published for over several decades as well as number of ola manuscripts of national importance included in this collection. This collection is systematically arranged, well preserved and maintained and kept in special cupboards.